On the Big Island of Hawaii waterfalls abound. It's really an excellent place to explore some amazing waterfalls within a short distance of each other. The Big Island is known for its variety in landscape and climate zones. You can see everything from volcanoes to snow covered mountains in the same day. And, of course, there are amazing tropical waterfalls of all shapes and sizes. While the west side of the Big Island is much more dry, the east side is much wetter and very green. In these wetter climates on the east and northeast coasts of the Island, tropical rainforests filled with lush plants give way to streams of water that plunge into valleys from spectacular heights. These Hawaii waterfalls are not to be missed. When it comes to Hawaii waterfalls on the Big Island, there are really two types (and it has nothing to do with what they look like or how big they are). 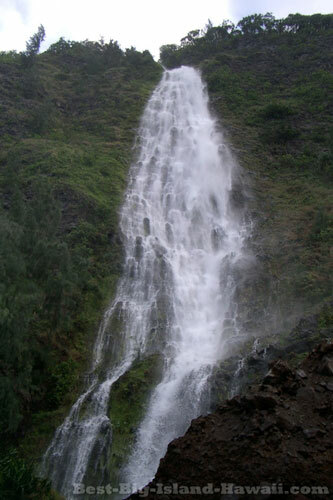 The two types of waterfalls are ones that are easy to access and one's that are hard to access. 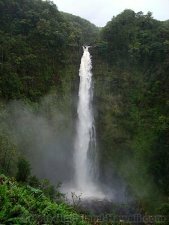 Some of the most famous waterfalls on the island, like Akaka Falls and Rainbow Falls, also happen to be very easy to get to. These falls are located in state parks with easy access from main roads, plenty of parking and well maintained trails for easy viewing. No need for a long trek through valley floors crossing rivers and hacking your way though the jungle to get to these falls. Other falls are way more out of the way. 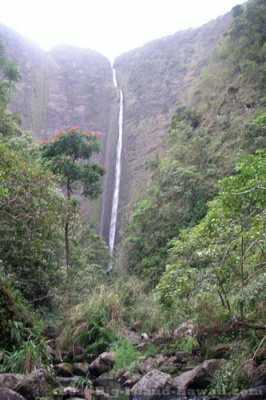 For example, Waipio Valley is home to some spectacular Hawaii waterfalls including 1,200 foot high Hi'ilawe Falls and the on-again-off-again Kaluahine Falls. However, these are not "drive-up" waterfalls. Getting to these falls means going off the beaten path and exploring some less areas not on the typical tourist trail. 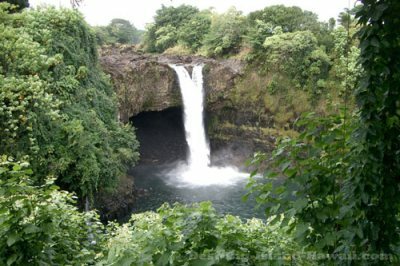 The good news about this is that, on Big Island Hawaii, waterfalls exploring can be on the itinerary of all types of travelers—the intrepid and the more modest. 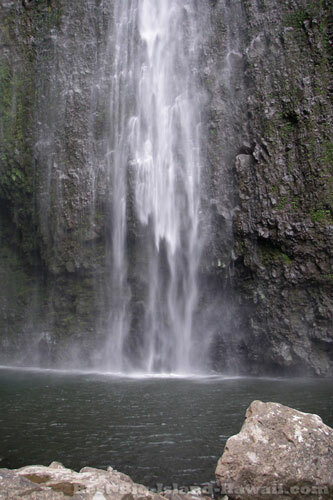 If you're in the former category, lace up your hiking shoes and check out the waterfalls in places like Waipo Valley. You won't find a crowd there, that's for sure! If you'd rather get a glimpse of a beautiful cascading waterfall without the extra effort, then Akaka Falls and Rainbow Falls near Hilo are a perfect destination for a quick half an hour excursion. If you've been to some of the Big Island's best beaches, you know it can be tempting to just stay in that sun soaked paradise that is the Kona side, spending day after day on the beach and enjoying the waves and the warm breezes. 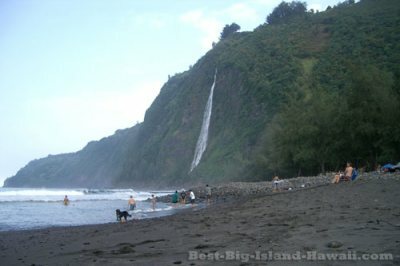 But one of the great advantages of a place like the Big Island is that it has so much more to offer than just beaches. So why not take the time to explore some of these incredible waterfalls? There's really something amazing about the lush green climate on the wetter side of the Big Island of Hawaii and waterfalls really bring that climate to life.